Campbell & Kennedy (C&K) was appointed by Laxcon Construction to install 110 solar panels to a new build block of flats in Tooting, London. Laxcon Construction is committed to sustainable building and saw that solar PV was the best way forward for this particular development. C&K managed the whole process from site survey and installation through to MCS certification. C&K designed the system to ensure maximum return on investment (ROI) possible. C&K used REC panels to help ensure maximum ROI. C&K are Professional REC installers and utilise these panels on most of their systems due to their quality and performance. The new build development was situated next to a school, therefore extra consideration was given to delivery times and H&S to ensure there was no disruption and traffic congestion caused. 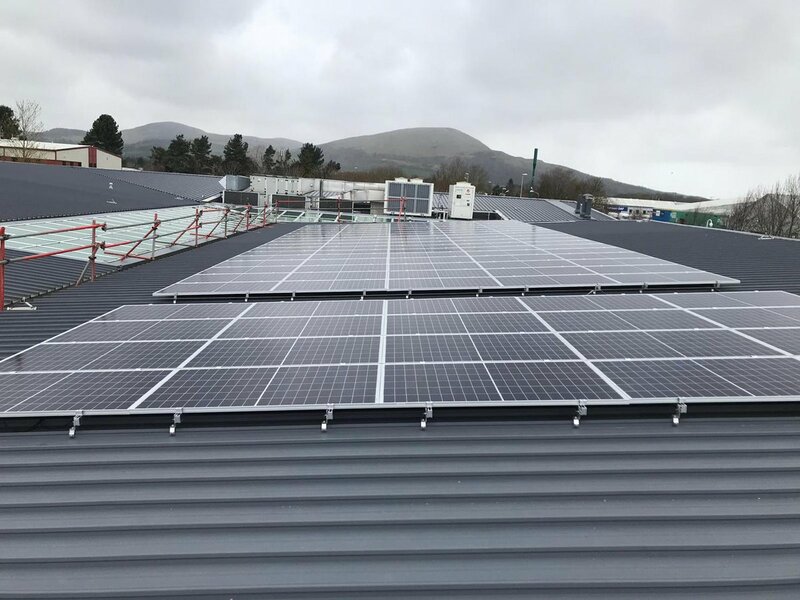 As the panels were installed to a timber roof cassette, C&K also liaised with the roofing manufacturer to ensure compatibility between products. C&K successfully completed the installation of all panels as per the client’s specification. C&K installed all panels in Jun 2014 followed by a final commissioning in September 2014. The solar PV system will now feed the communal supply of the building, helping the landlord reduce electricity costs. This was C&K’s first installation for Laxcon Construction. Since this C&K have been appointed to another project. Get in touch to find out more about how we can help you with your solar PV requirements.